Playing basketball on a high level requires talent, precision, dexterity, stamina, and many other things. However, one of the most important aspects of playing basketball is strength. In order to be able to compete against other top players, you will need to be in peak physical shape. Otherwise, you will fall behind and keep the bench warm. So, if you want to remain competitive on the court, you constantly have to work on your body. 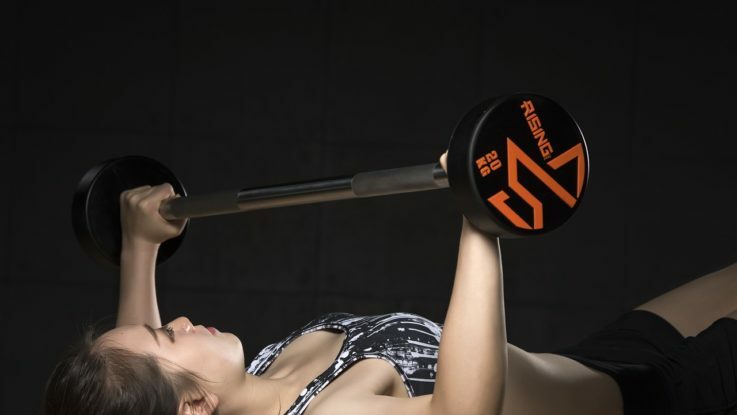 In this short article, we will list some of the best strength exercises for basketball athletes. Read on! Although you’re shooting the ball with your hands, you should start working on your body from the ground up. 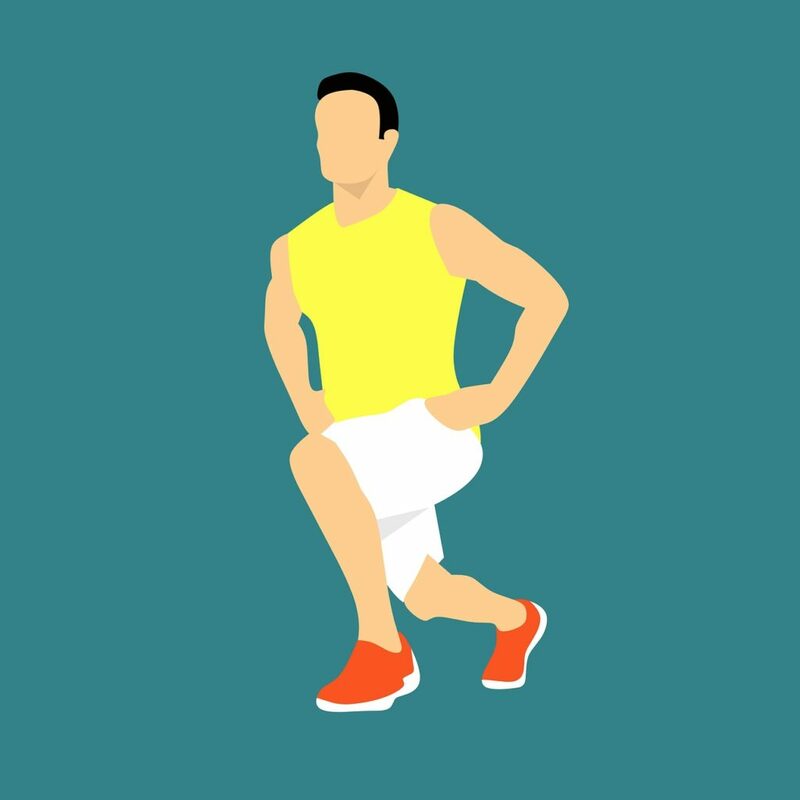 Having strong legs is important as it will help you run faster, jump higher, and keep your balance. Doing front squats is a simple exercise that will strengthen your legs. Just make sure that your back is straight and that you keep all your weight on the heels. Similar to regular front squats but with the addition of jumping, this exercise will improve your explosiveness and leap. By doing jump squats, you will have more strength to go for contested rebounds and have an advantage when jumping against an opponent. Make sure to keep your chest up and back flat. Additionally, you can use dumbbells while doing the exercise. Okay, now it is time for some upper body exercises. Close-grip bench press differs from the regular bench press in a sense that it works more on developing your triceps muscle. The hands should grip the bar at approximately shoulder width. Also, make sure to keep your elbows as close to the body as possible while doing the exercise. This is a great exercise for your biceps and back muscles. If you want to improve your grip strength as well, you can do this exercise with towels wrapped around the bar. The most important thing here is to keep your body in line while pulling. While going down, make sure that you end up in a lunge position and pull back up as quickly as possible. The curl part of the exercise is for the biceps, while the added pull makes your shoulders stronger. Apart from being useful for the game itself, these muscles are easily noticeable, and looking strong on the court boosts player’s confidence and intimidates the opponent. Just like with any other exercise we mentioned so far, posture is the most important thing. 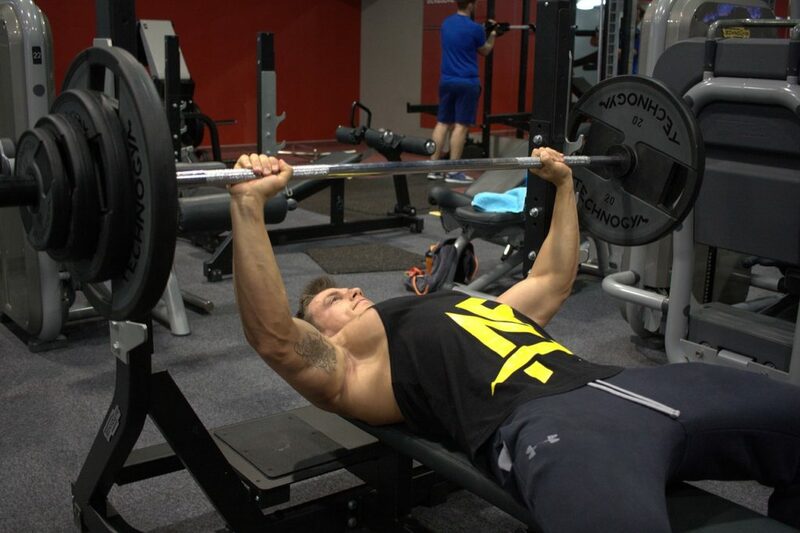 Also, do not use back and legs, as all the weight should be on your arms while doing barbell curl and press.